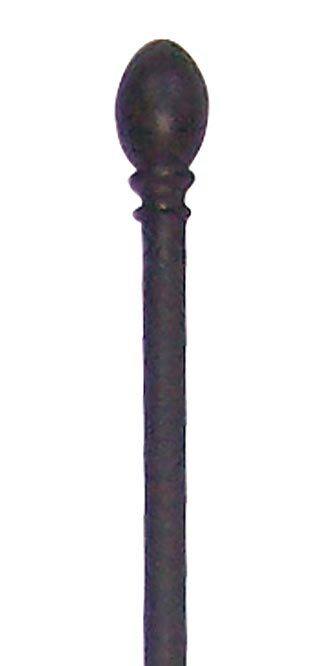 Keep your fencing stable and upright with the Panacea Garden Fence Post. This post inserts easily into the end loops on the Panacea Triple Arch Garden Fence Section and the Panacea Triple Arch Garden Gate (not included). The pointed base of the item stakes into the soil, and the round knob on the top adds an elegant look. The black color meshes with your existing fencing, and the metal construction withstands the elements. Create sturdy fencing using the Garden Fence Post. Dimensions: 45.5"H x 1" dia.